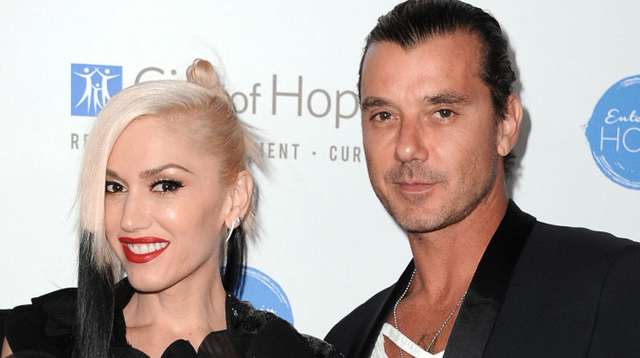 ​TMZ is reporting on the rumors circulating that Gavin Rossdale thinks his ex, Gwen Stefani, was cheating on him with her current lova/The Voice co-star, Blake Shelton. According to their source (which may or may not be a tube of Pringles), Gavin is not only upset about Gwen's "Used to Love You" song, he's also pissed about quite a few other things. Sources close to Gavin tell us he smelled something was up between Gwen and Blake before their marriage blew up. We're told he does not believe the timing of his divorce with Gwen and Blake's divorce with Miranda Lambert is coincidental. We're told Gavin believes Gwen was painting him as a bad guy for cover...he thinks she was worried he'd take her to the cleaners if he found out she had already hooked up with Blake. The sources are also saying that Gwen used to "browbeat" Gavin into staying home and be believes that hampered his money-making abilities.